Should you be interested in learning more about our activities, you are welcome to access the detailed background documentation and information that the RBC Elbe used to draw up the management plan, including, e.g. the CIS (Common Implementation Strategy) documents by the European Commission, expert commentaries by the Federal States and Federal Government Working Group on water issues (LAWA), expert opinions on specific river basin matters, analyses and studies. 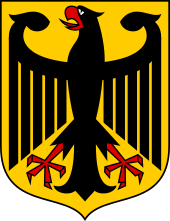 These documents are available for download on the German web pages. They will be reviewed in the course of the next update of the management plan.